Everspin announced its financial results for Q4 2017 - revenues reached a record $10.1 million (up 43.3% from the $7.1 million in Q4 2016). Net loss in Q4 2017 was $4.4 million (down from $5.3 million in Q4 2016). For the full year 2017, revenues increased 32.6% and reached a record $35.9 million (up from $27.1 million in 2016) - while the net loss in 2017 was $21.1 million. 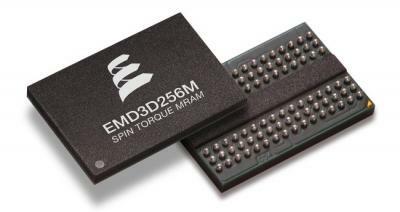 During the quarter, Everspin shipped its first 40nm 256Mb STT-MRAM products. Last month Everspin successfully raised $24.5 million.